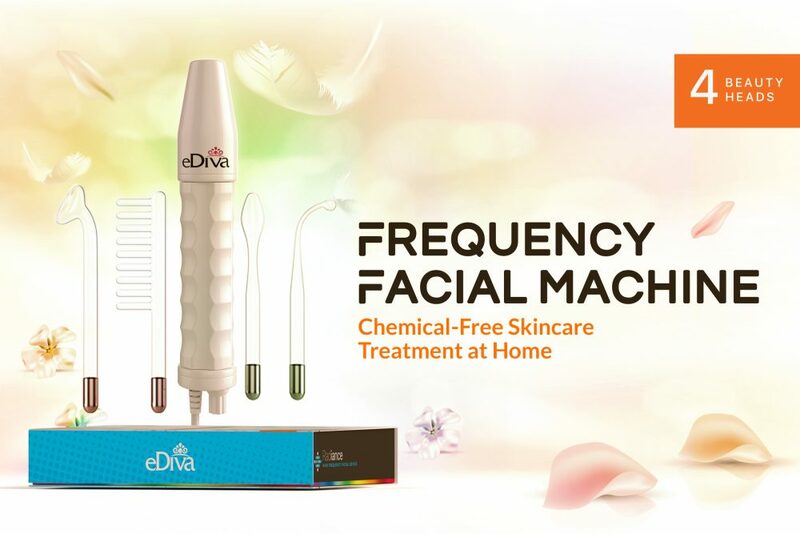 Introducing eDiva’s High-Frequency Beauty Machine, you can now achieve a younger looking and fairer skin with your own skin care treatment at the comfort of your home or anywhere you want. Why you should use a high-frequency facial machine? eDiva’s High-Frequency Beauty Machine is one of the skincare tools that we usually see inexpensive beauty clinics. Now that it comes in a portable design, you can finally have your own frequency facial machine that you can use at the comfort of your home. The high-frequency facial machine is considered as a safe facial skincare tool but if you are not a professional esthetician, you must read and follow its general usage, instructions, and precautions. You can use the high-frequency facial machine directly on your bare skin, but sometimes others use it over gauze or cream for easier glide over the face. What are the benefits of using a high-frequency facial machine? eDiva’s High-Frequency Beauty Machine offers multiple benefits to your skin. It can be used for disinfection, promote skin recovery, reduces wrinkles and promotes metabolism and blood circulation for your skin and your head. This device is very helpful in treating stubborn acne and aging skin. Aside from that, the frequency facial machine has a lot of benefits to offer. It helps balance your skin’s hydration, improves lymphatic drainage, treats acne and minimizes wrinkles. Isn’t is amazing to have a skincare tool that gives you all these benefits? Surely, you can’t easily find these benefits on a drugstore skincare product. Considering that you don’t have to use any harmful skin care products anymore, I’d definitely yes. If you’re into natural skin care treatments then you should have one of this product. Beauty clinics and professional estheticians use this as one of their important skin care tools to their clients, then why shouldn’t you have one too? Plus! It’s a portable device so you can bring and use it anywhere with you.